From pro-active estate planning to avoiding probate, we work to create a plan for the future so your family will be cared for. Assisting with estate planning, probate, business and tax law, we work toward cost-effective and comprehensive legal solutions. Since 1981, Attorney Johal and his legal team have been providing clients with the personal service and expertise they deserve. To better serve clients in Northern California, we've recently opened a new location in Monterey County. Count on us to guide you through the complex probate process during this difficult time. Let us provide peace of mind with a plan for you and your family’s future. Learn how our firm puts over 30 years of probate experience to work for you. Give us a call or fill out our free case evaluation form to get started today! Welcome to Our Sacramento Probate & Estate Planning Blog! Estate Plan - Important or Unimportant? Over 30 Years of Experience to Offer You! Monterey County is nestled along the Pacific Coast with its northwestern section forming the southern half of Monterey Bay. The breathtaking coastline which includes Big Sur, State Route 1, and 17 Mile Drive on the Monterey Peninsula has made the area world famous and a popular tourist destination. With the economy being primarily based on tourism in the coastal regions and on agriculture in the Salinas River Valley, the residents of the county vary from those who work in the agricultural and service-based industries to retirees who live in communities such as Carmel. Whether you're a young parent who is working hard to care for your family or if you're retired and interested in establishing an estate plan, it's important to understand that estate planning is for everyone. Estate planning is important for the young and the young at heart, no matter how large or how small an estate is. If you are looking for a qualified Monterey County estate planning attorney to represent you, then you will find what you are looking for in The Law Offices of Jack S. Johal. Whether you need assistance creating an estate plan, protecting your assets, or addressing a business or tax law matter, it's important that you have a qualified professional protecting your interests. Attorney Johal is dedicated to ensuring that is clients' needs are met and is known for working after hours and on weekends to accomplish this. If your matter is large or small, he will take the time to explain the laws, inform you of your rights and responsibilities and guide you through each step that will work towards an optimum solution. You've worked hard to build an estate or a business and your wealth is too important to waste. Allow our firm to preserve your assets while maximizing their true value through legally sound and time-tested strategies. 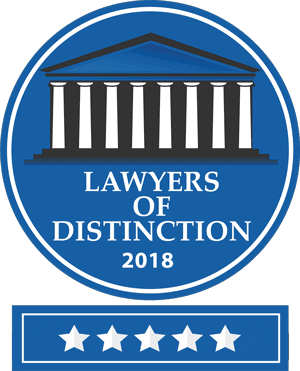 With a 10.0 Rating from Avvo and an AV® Rating from Martindale-Hubbell®, attorney Jack S. Johal is a highly respected attorney in the Monterey and Sacramento communities. As one of the most sought after wealth managers in the Sacramento area, you can be rest assured that attorney Johal and his dedicated staff will show you how to protect your assets and grow your organization. Allow them to handle your complex legal situations while making you feel valued and well-cared for. Contact our Monterey County estate planning law firm to find out how our services can protect your wealth for generations! Find out how to ensure rigorous legal tax standards to avoid pitfalls down the road. From entity formation to contracts, we can help your business follow the best legal practices.